Keeping your exhaust system in good working condition is vital for fuel mileage, the environment and your safety. Your car’s exhaust system carries away the gases created when the fuel and air are burned in the combustion chamber. These gases are harmful to humans and our environment. The worst enemy of your exhaust system is corrosion…. or more commonly known as rust. Rust is caused by moisture reacting with the iron in the steel and forming iron oxide. Moisture, or water vapor is present in the exhaust as a by-product of combustion and the catalytic converter. Moisture can also come from the outside in the form of rain. Short trips in your car can shorten the life of your exhaust system. When you shut down your engine whatever water vapor is in the pipes condenses and turns back into a liquid. On a short trip the water never has a chance to get hot enough to turn back into water vapor and just stays in the system and rusts away the pipes. 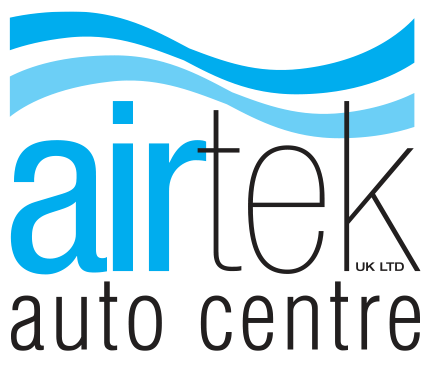 Whatever part of the exhaust is required, here at Airtek Auto Centre, we can supply and fit, at competitive prices on most makes of vehicles including Audi, BMW, Ford, Vauxhall, Citroen, Mercedes, Landrover, Volkswagen, Toyota, Peugeot, etc. Why has my car suddenly started sounding very noisy? You probably have a hole in your exhaust due to corrosion. We can take a look and identify which part(s) of the exhaust is required and get you back on the road with minimal disruption.